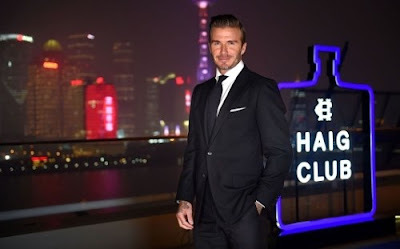 Diageo’s Haig Club Single Grain Scotch whisky, officially launched its Shanghai residency last night, in an event hosted by Haig Club brand partners David Beckham and Simon Fuller. Haig Club Shanghai is the third in a series of events that have taken place in iconic cities, handpicked for their unique style, nightlife and culture. Set across two floors of a building near the famous Bund area, Haig Club Shanghai guests enjoyed signature serves and unique concoctions designed by Global Haig Club Brand Ambassador, Ewan Gunn. Guests were also treated to a fleet of dishes from one of China's forerunning chefs Steven Liu, with the evening culminating in the event's Skyline Bar with its stunning views of the city lights. Commenting on the launch, David Beckham commented: "It's amazing to see our shared vision of bringing a modern and stylish new Scotch whisky to people all over the world. To be able to return to Shanghai since I launched Haig Club here in China a little over a year ago is incredible." For the first time, Haig Club fans around the world were able to secure a front row virtual seat for an exclusive look into the event through live streaming app MyEye, The content offered fans updates from the event live through the eyes of Haig Club brand partner David Beckham and the Haig Club MyEye channel.